Here is my fourth WIAW. For those of you who don’t know, Jen over at Peas and Crayons hosts WIAW every week – check out her blog for more information on it! 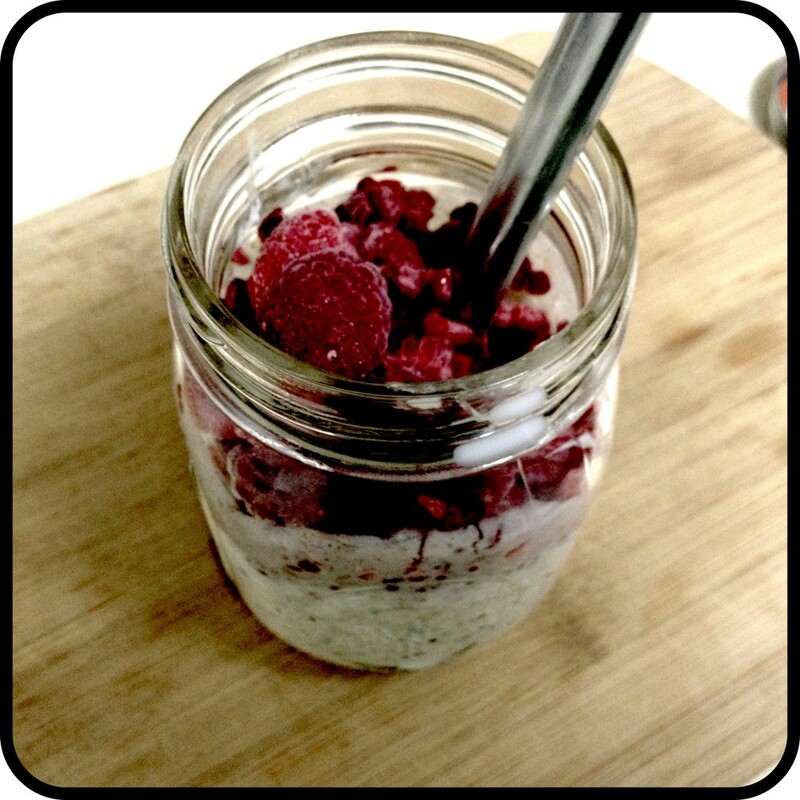 Breakfast was raspberry overnight oats consisting of old fashioned oats, vanilla Chobani, milk, chia seeds, vanilla, agave nectar, pumpkin pie spice and raspberries. 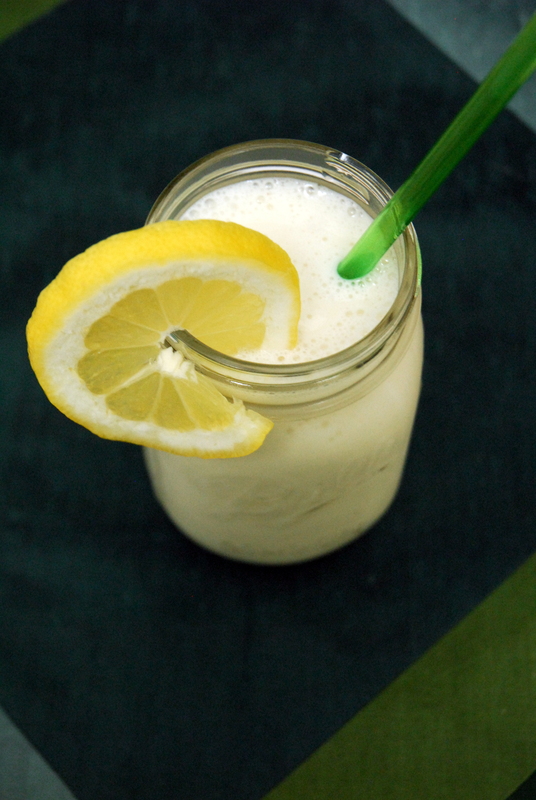 I snacked throughout the afternoon on a refreshing lemon smoothie (recipe at the bottom of this post! 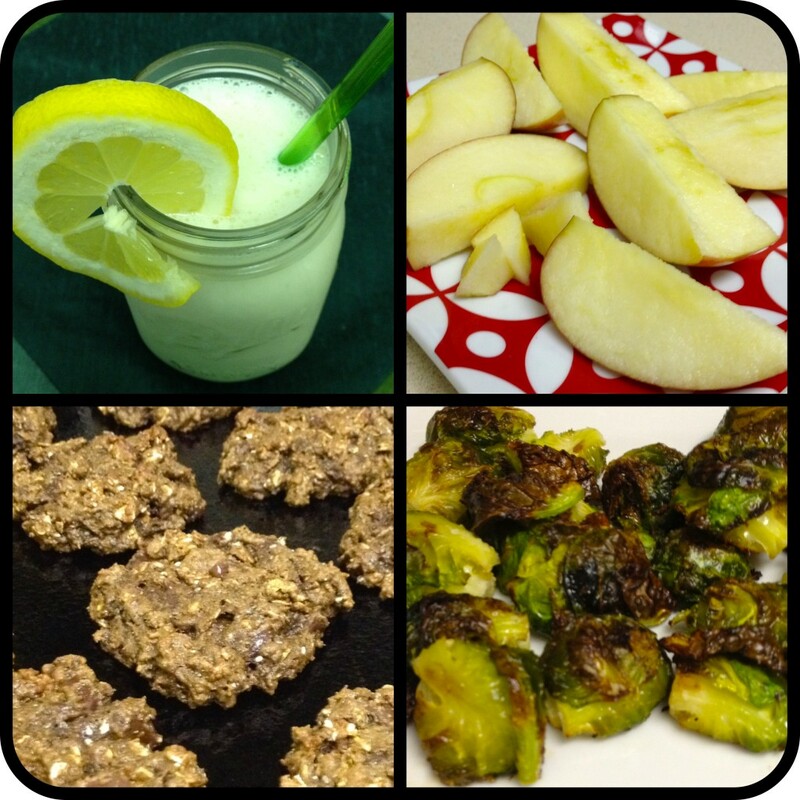 ), an apple, some roasted brussels sprouts and an extremely delicious double chocolate oat cookie (recipe coming soon!). Dinner was a big bowl of potato leek soup (recipe coming soon!) 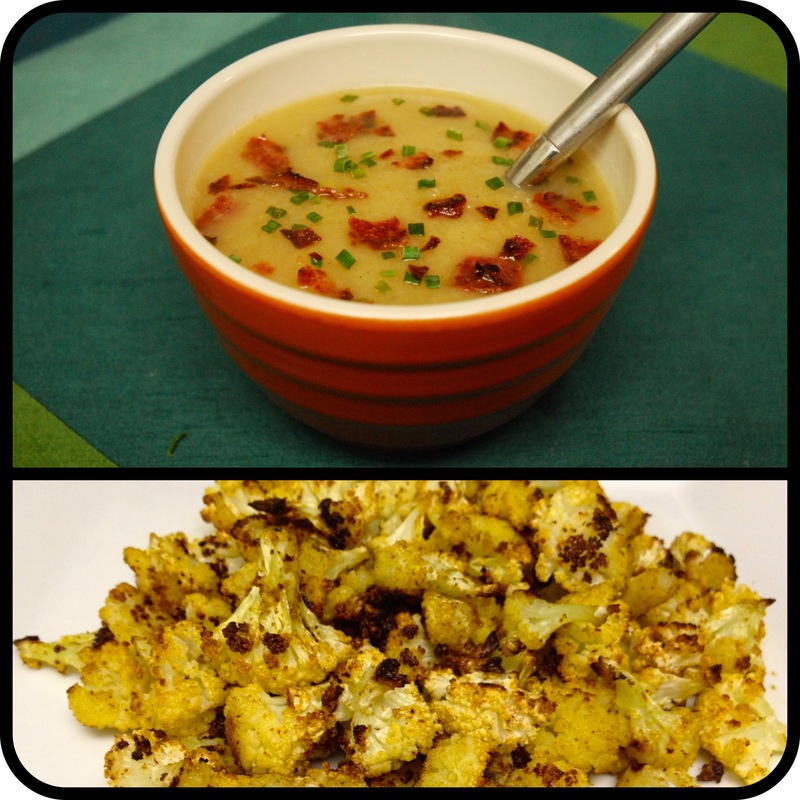 and a side of roasted cauliflower. Clearly, you can’t have soup without bread, but I forgot to photograph that! 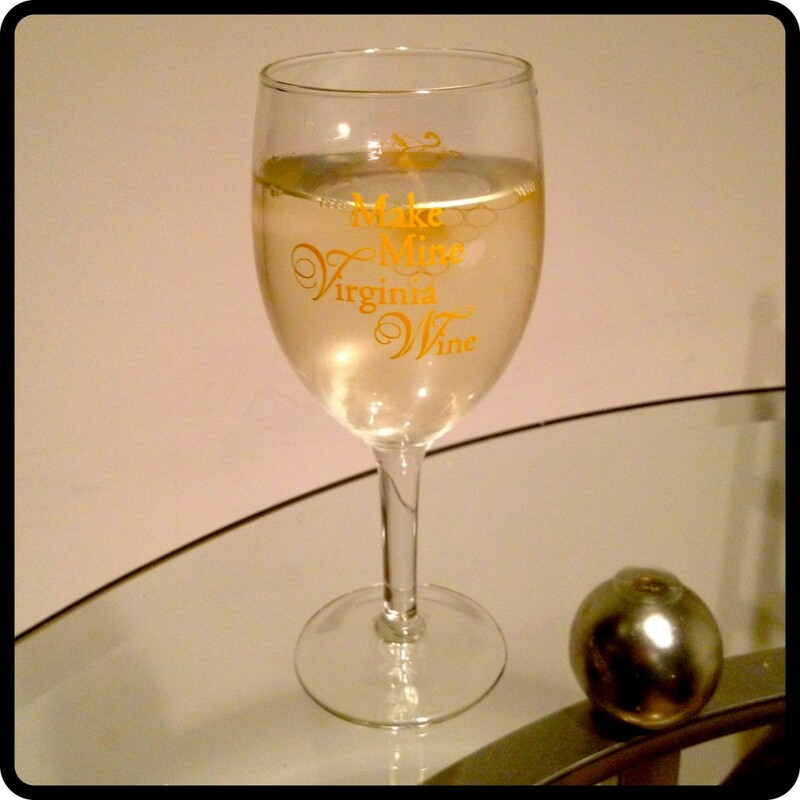 Finally, I ended my night with a glass of Matua Valley Sauvignon Blanc from Marlborough New Zealand. Marlborough is my absolute favorite wine region – eventually, I will have to do a whole post about the unique sauvignon blanc wines produced there! Let’s backtrack to the Refreshing Lemon Smoothie I had for lunch. It was a cold, rainy and dreary day here in New Hampshire. To make the day more cheerful, I decided to make a refreshing summer smoothie! I’ve started to fall in love with the lemon flavored Chobani greek yogurts lately, so I used that as my base and worked from there. The result was delicious! Tangy, tart, sweet, and full of summer! 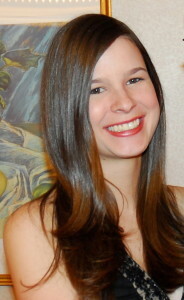 This entry was posted in Breakfast, Gluten-free, Smoothies, Snacks, WIAW, Wine and tagged lemon, smoothies, Snacks, WIAW. Bookmark the permalink. That smoothie looks really refreshing! I haven’t tried their lemon flavor yet since I’ve been too busy loving on their blood orange 😀 Will have to pick one up next time. I thought a lemon yogurt might be weird, but it is so good! My boyfriend loves the blood orange too. I can’t wait for that potato leek soup recipe! It looks like such awesome comfort food! Wow, that smoothie sounds delicious! Very creative. The lemon is my favorite yogurt flavor. Yes it’s a really tasty flavor – I can’t believe it took me so long to try it! I have to admit, I am not the best smoothie maker. I always seem to be a bit off in the consistency. 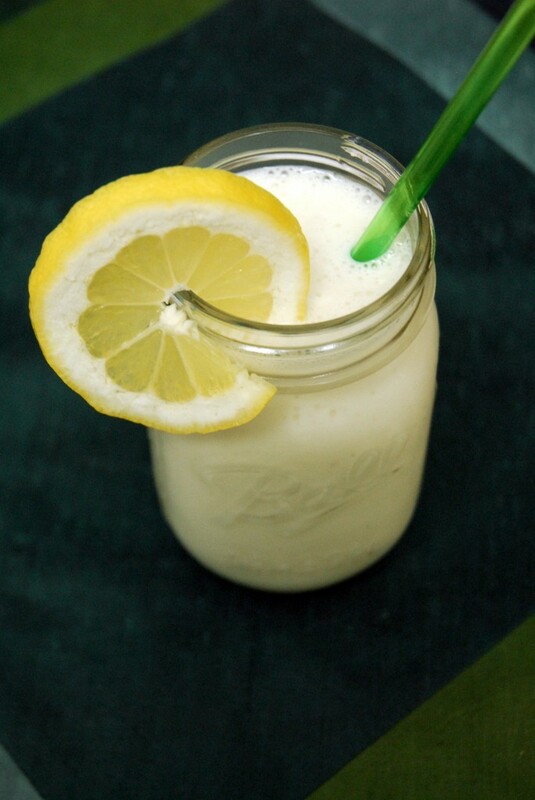 I want to give it another try and make this lemon smoothie. It sounds amazing! I only had plain chobani yogurt, so I added Jello temptations lemon meringe pudding along with the plain yogurt and omitted the honey–fantastic! Fewer overall calories even with the low-fat, low-cal pudding. Ooo nice twist on it! The Lemon smoothie looks fantastic. I am picky about smoothies, but I do love lemons. This seems like one smoothie I would enjoy. I’m going to try it. Just tried that wine last week when I was unable to find my oyster bay… Loved it!